I have always wanted to keep this blog a place for pleasantries and not a place for my ranting and or criticizing anything because after-all who the heck am I to judge??? However there is one thing that really irks the heck out of me and that is the complete disregard of a thank you note for a generous gift. 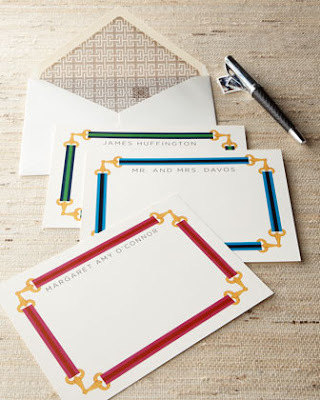 Now I am not saying a thank you note is necessary for every little thing that is gifted to you but I certainly do believe it is the nice and proper thing to do when you give someone a wedding, shower, engagement or a birthday present and I am pretty sure Emily Post agrees! I mean even a thank you email would work in some cases and that takes an all around a hot second to compose and send along. So in honor of good manners I selected some stylish thank you notes to send off to the people who have given you something and deserve some gratitude and recognition. 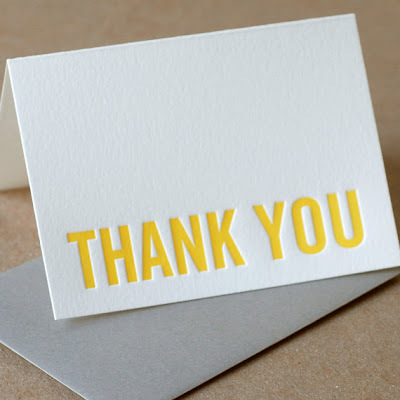 I also would like to sign off today to all of you with a big THANK YOU for continuing to read this blog, I promise I will not turn into a sour witch who rambles on about annoyances that happen each day...I guess inspiration for each blog post just can come from anywhere! 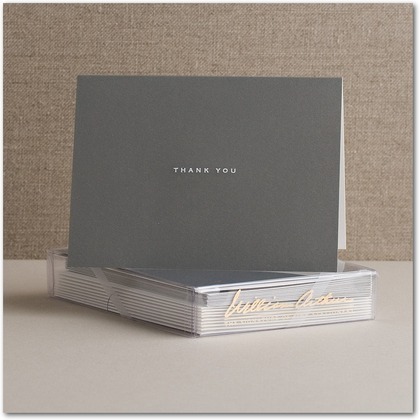 Metallic gold & punchy pink - I am weak in the knees over this stylish note card set. I will most definitely be adding this to my paper obsession. 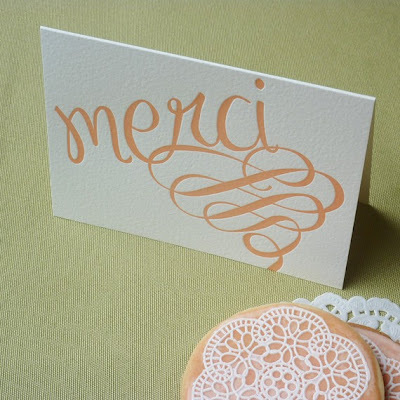 A letter-pressed thank you is definitely a favorite of mine but the cost is not. I love this simple design and bright sunny color to show your appreciation. Want to read a hilarious take on the subject??? 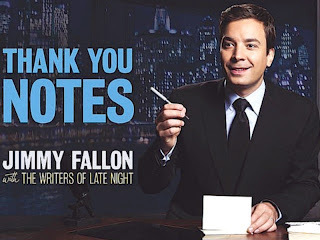 Pick up Jimmy Fallon's books "thank you notes" 1 & 2. Love your stationary pics! 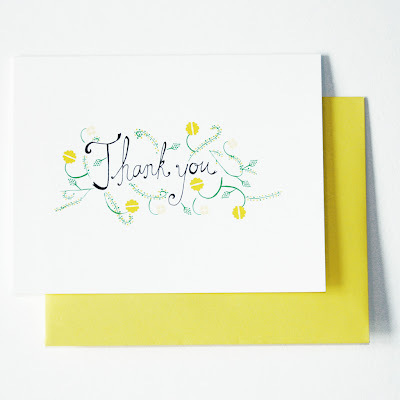 I am a HUGE believer in "thank you" cards/notes and hand-written correspondence in general. I did not receive a "thank you" for TWO of my cousin's wedding gifts (they are siblings) and I kind of didn't get over it. How do I even know they got them if I shipped them from a registry!? I'm half tempted to tell their mother (who is the epitome of class), but she might faint from embarrassment! ;) Happy Friday! that is a great point, how are you to know that the gift even arrived, do you double check to make sure with an email? Then are you pointing out that they didn't properly acknowledge the gift? Tough call! thanks for reading - xo. All these cards you posted are too cute! 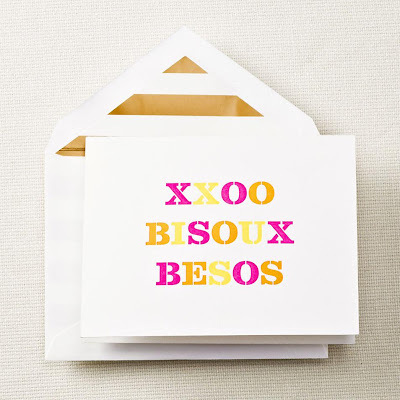 I love writing Thank You cards and just sending cards in general! I wish more people did, I love rarely receive them but love it when I do!